I’m sure I was in a very unusual company. If any of the other companies in the Battalion were so depraved, I was unaware of it. We use to call the guys in Alpha Company, Alphabots and guys in Bravo, Bravotrons because of their discipline and strict adherence to the creed, orders, and superior officers. And what did they call Charlie Company? Ragbag Charlie. We would refer to ourselves more as “free spirited” and “inventive.” Don’t get me wrong; there were many good Rangers in the company. But many of us were living on the “Dark Side.” I often wonder why God would have allowed me to fall in with such a crew, especially when I was trying to do the right thing. Perhaps it was because in the other companies I would have pursued becoming a great Ranger and distracking from my great need for Christ. But in C Company, life was one big party. “Work hard, play REAL hard,” we use to say. I quickly found myself right back where I started. Rapped up in the same things I was trying to escape at Ft. Bragg. Tormented by the good that I knew I should do and yet trying desperately to fit in with men I worshiped as warriors, I was drawn in like a moth to a flame. Within three months I finished RIP and the Pre-Ranger course and was on my way to Ranger School. It was an opportunity to dry out and more importantly think about the bad decisions I was making. For the first time I had a desire to read the Bible. I remember very clearly, like yesterday, sitting on a silver propane tank, reading a little green Gideon’s New Testament in the Mountain Phase of Ranger School. I was searching now and I finally had the desire to change. Graduating, I quickly left Ft. Benning, Ranger School, and any thought of changing my life. I met my buddies at SETAC Airport and immediately went to celebrate my success with a big party. 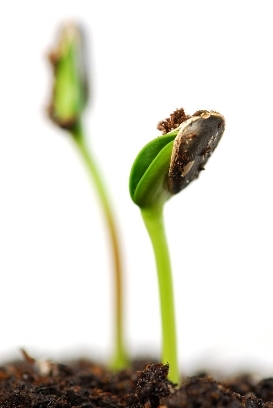 But the seed of the Word was beginning to grow.